This heirloom quality costume is fully lined with soft fleece. 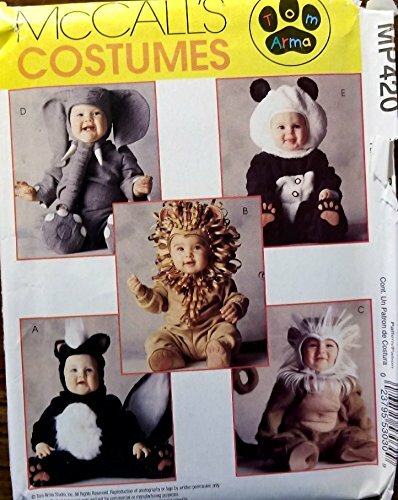 Includes: Golden Brown body suit with snaps in (upper) back only, lined booties* (not intended to be worn over shoes), attached wired tail and matching character headpiece with front Velcro closure. 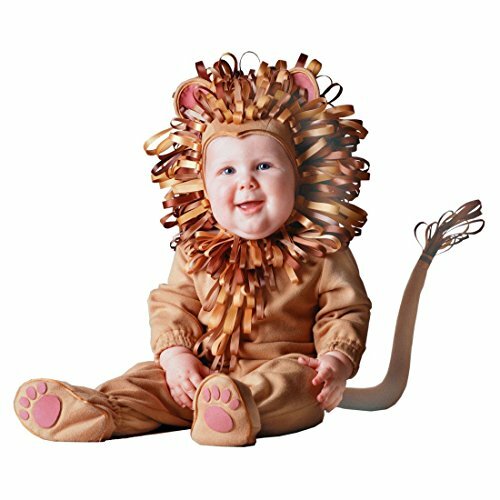 Headpiece and bodysuit are adorned with beautiful earth-tone colored satin ribbons. This pattern is UNCUT and factory folded. Though unused, it may be vintage with some wear, tear and markings to envelope. The photo is the actual pattern you are purchasing. Ships within 24 hours, weekdays. Expedited shipping available. Thanks for looking! 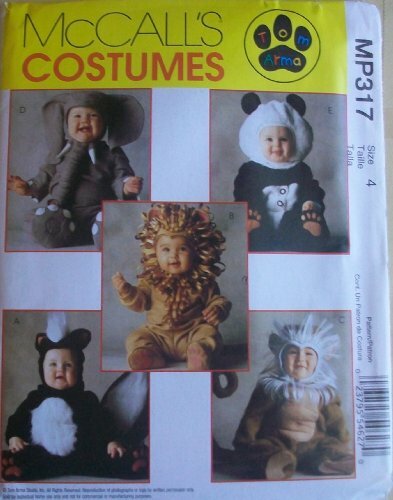 Instructions and pattern for children's monkey, skunk, lion, elephant and panda costume. 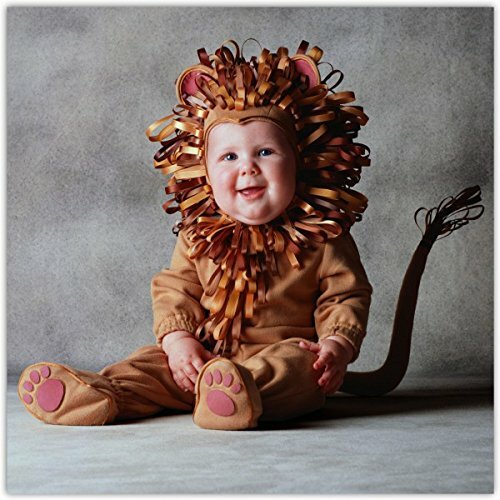 For a Halloween treat ,check out these photos and baby costumes by Tom Arma, "worlds most published baby photographer"-NY Times. 90+ Tom Arma costumes in this video alone!